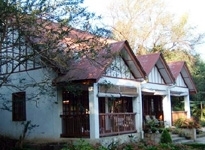 The Shillong hotels are divided into 3 broad categories such as heritage hotels, first class hotels and budget hotels. 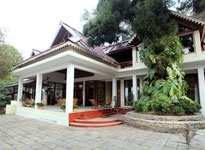 The heritage hotels in Shillong are very opulently built and enjoy posh locations in the city. These hotels integrate the elements of old and new by featuring period decor in sync with modern facilities. 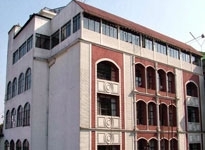 These accommodations in Shillong have plush guestrooms, multi cuisine restaurants, stylish bars, host of business facilities, excellent recreational facilities and commendable additional facilities. 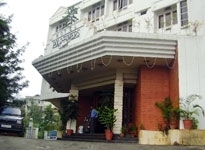 However what exceeds all the arrangements of these hotels in Shillong are their true traditional hospitality. Shillong the romantic city is one of the very sought after travel destinations in the north eastern part of India. Often addressed as the Scotland of the East, this city bears close resemblance to the highlands of Scotland. Surrounded with tall pine conifers and pineapple shrubs, the most striking feature of Shillong is its rolling terrain. All these elements put together account for the constant increase in the footfalls of the pleasure travelers here. However, it does not imply that business travelers do not visit this city. The business travelers too have made it their regular haunt for couple of reasons of which the serenity of the place deserves special mention. 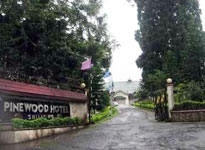 To encourage all to visit this city on a frequent basis a number of hotels in Shillong have been opened up. 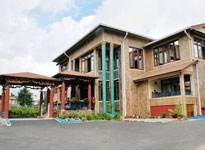 The first class Shillong hotels among all the hotels in Meghalaya have set distinctive mark by offering world class facilities and services that ensure every comfort to guests. 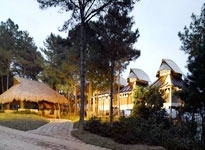 These Shillong Hotels enjoy strategic location in the city and are in proximity to most of the attractive spots of the city and make traveling an easy task for every type of travelers, business and pleasure. 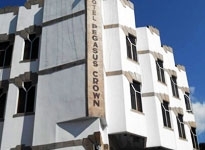 These hotels feature modern accommodations packed with latest comforts, multi cuisine restaurants, scores of business facilities, excellent recreation facilities and auxiliary facilities too. 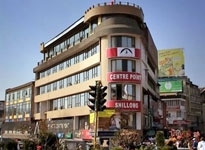 The budget hotels in Shillong are also designed to cater to the needs and requirements of both the business and pleasure guests at somewhat convenient charges. These hotels put on offer moderately decorated elegant guestrooms replete with those modern amenities that take care of the basic comforts of the guests. In this category too guests get to enjoy exclusive dining facilities.